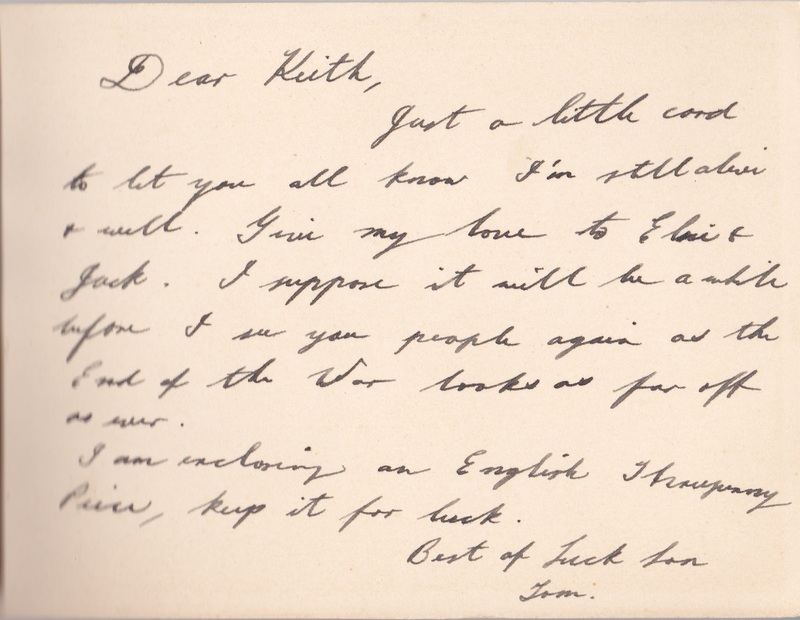 D012. 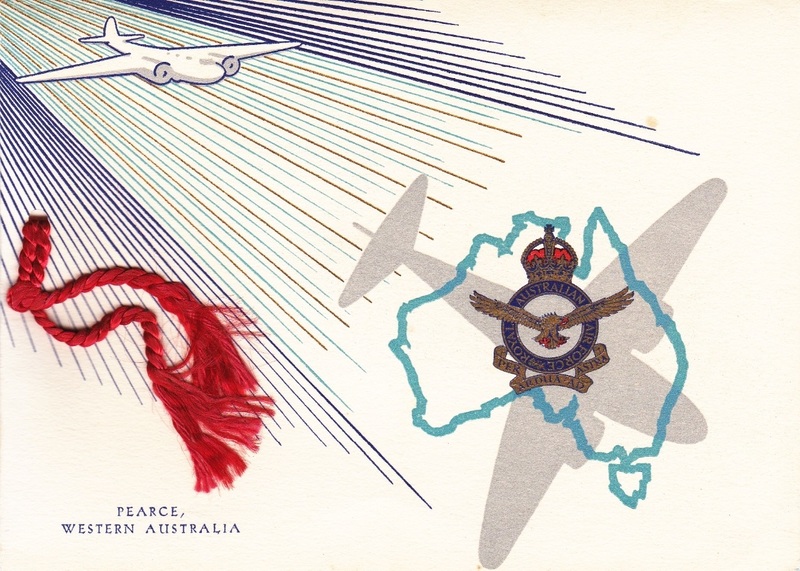 A WW2 Christmas card from RAAF Base Pearce Western Australia, inside is a picture of a Sunderland aircraft with a Christmas greeting from Malcolm to Grandpa & Grandma. 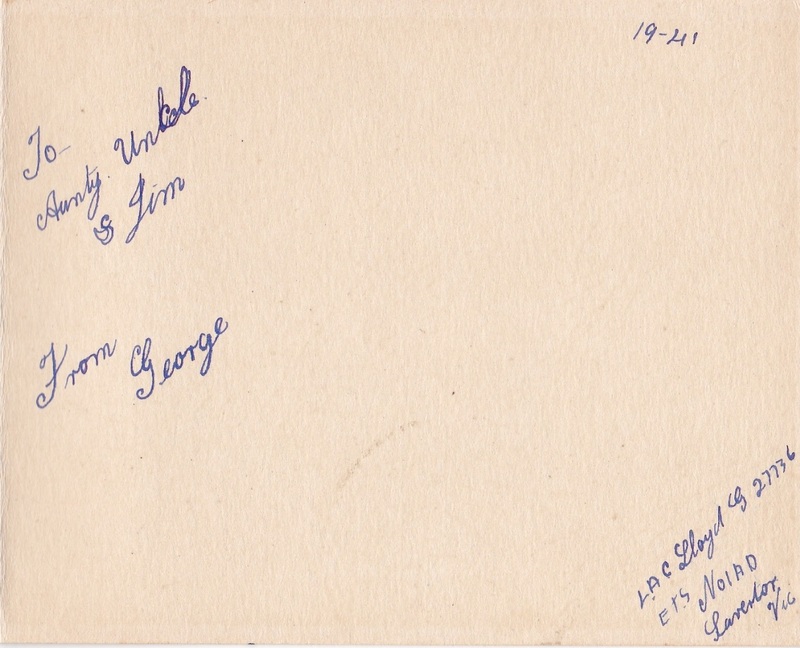 D041. 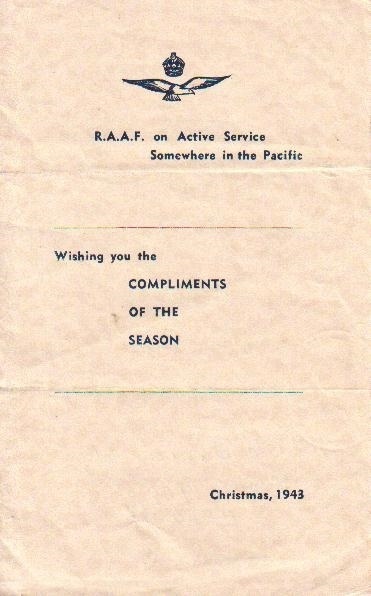 A large Christmas card dated 1943 from on “Active Service Somewhere in the Pacific” to Staff and Rose from Bill. 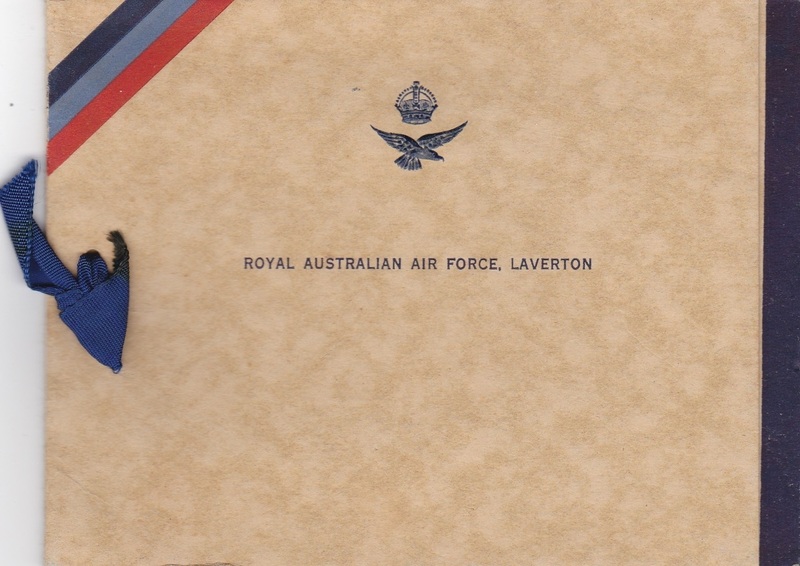 Bill is 11703 Warrant Officer William Arthur Santon of Group 910. 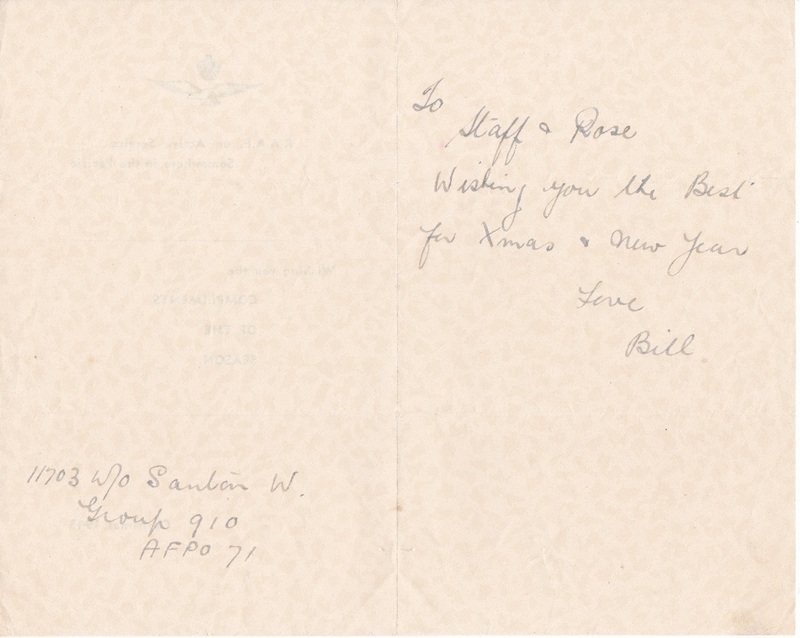 Bill enlisted at Melbourne on 5 Aug 1940 and discharged on 26 Oct 1945 from 7 Operational Training Unit. 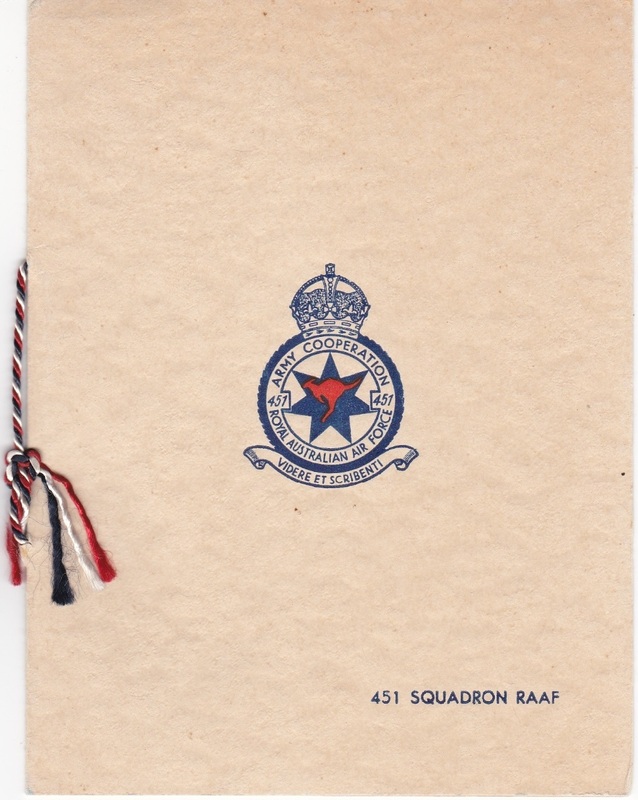 D042. 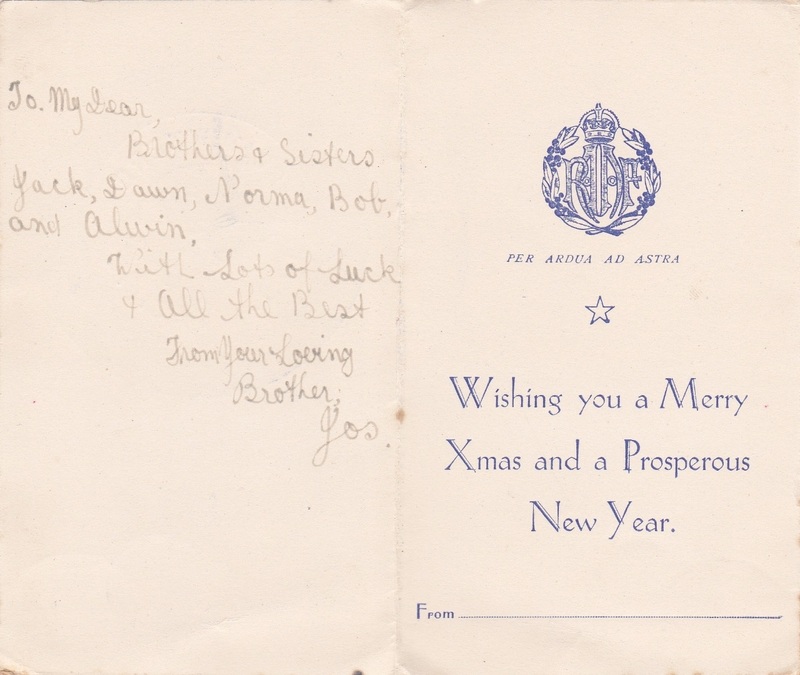 A gold embossed Christmas card from No 10 Squadron on active service in Great Britain, inside is a cartoon of a kangaroo attacking a U boat and a note from Tom Griff to Keith, Elsie & Jack. D043. 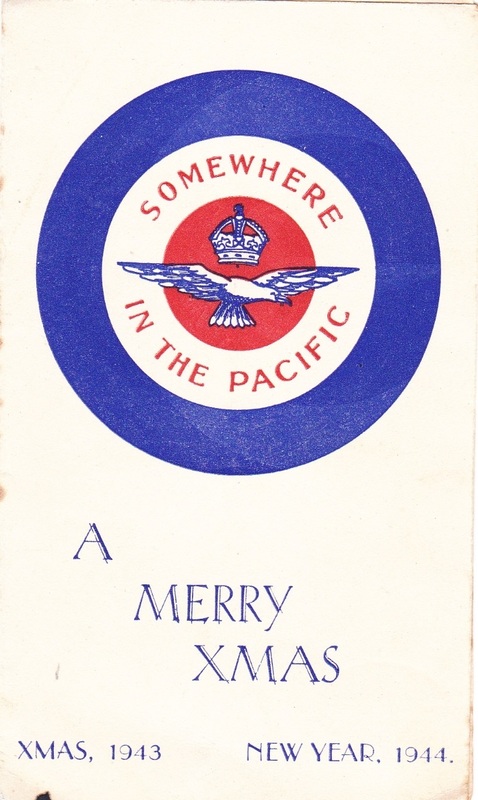 A Christmas card dated 1943 – 1944 from “Somewhere in the Pacific” with a note from Jos to his brothers and sisters. 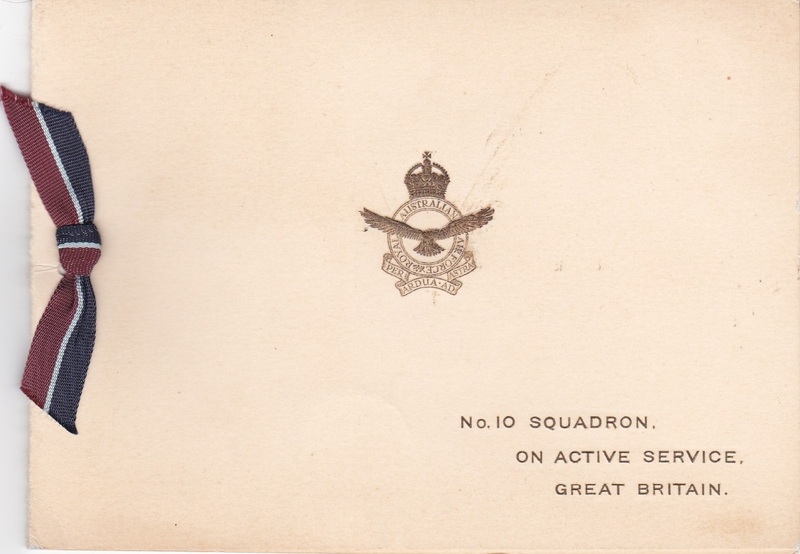 D046. 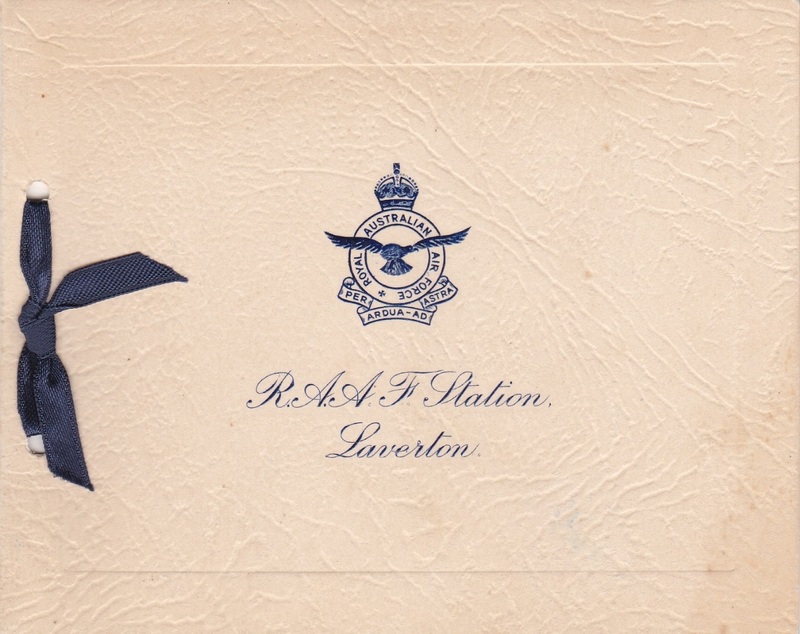 A WW2 Christmas card from RAAF Base Laverton, possibly early war, inside is a photo of Hawker Demon aircraft and from Jim. D047. 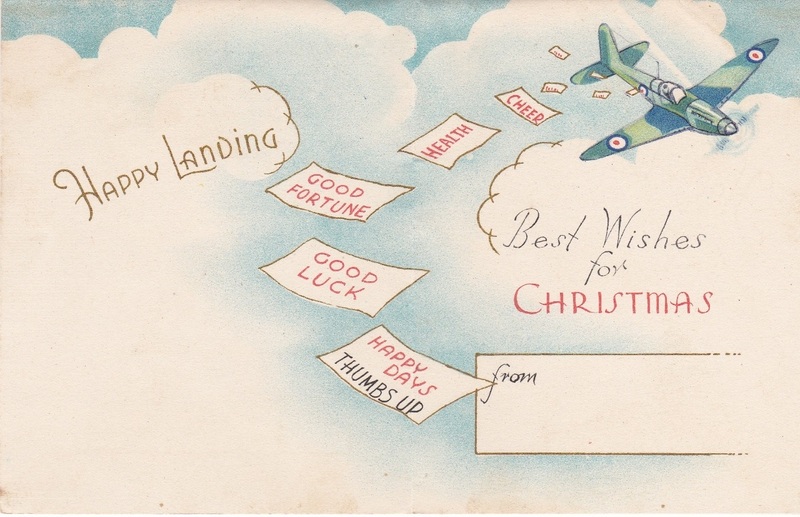 A WW2 Christmas card dated 1942 and unused from 451 Squadron. D048. 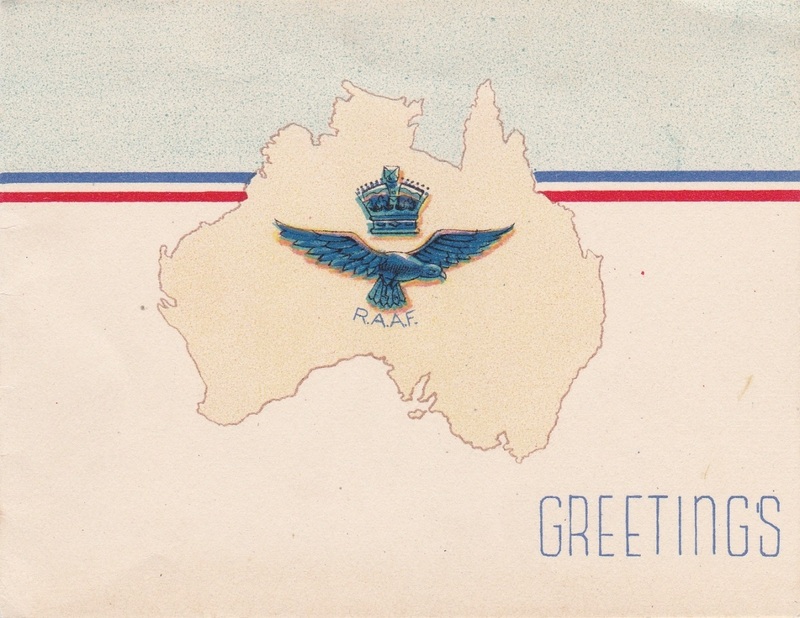 A WW2 Christmas card from RAAF Station Laverton with a print of Lockheed Hudson aircraft inside, to Auntie, Uncle & Jim from LAC Lloyd G 27736 ETS No 1AD Laverton. 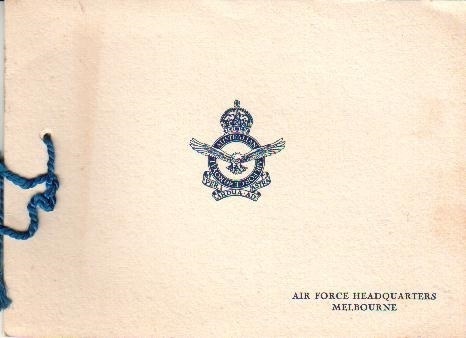 D053. 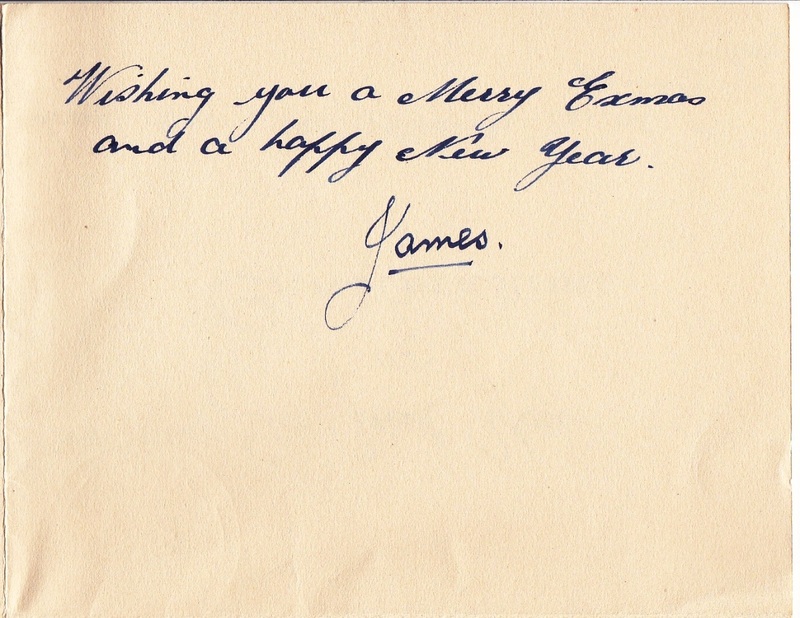 A WW2 Christmas card from “Out of the Blue” from Jim to Hilda and the family at No 20. 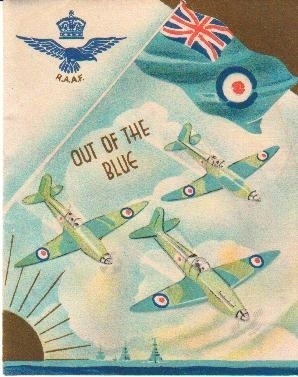 D054. 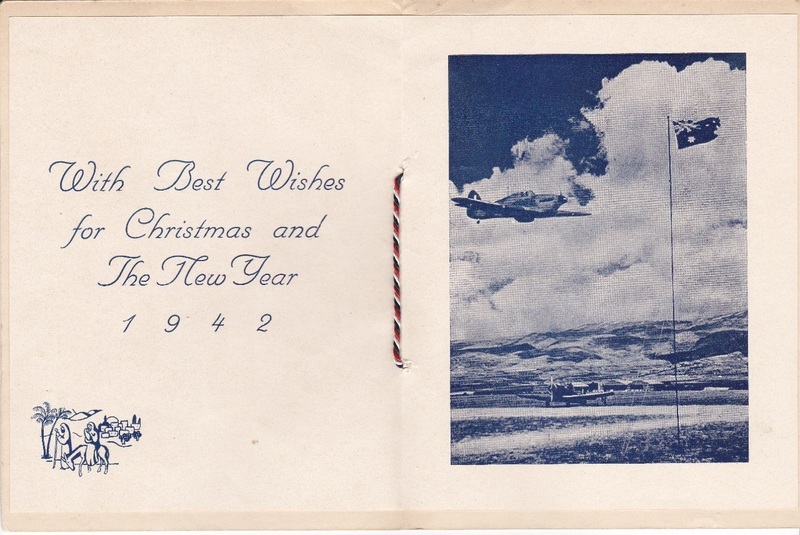 A WW2 Christmas card from Air Force Headquarters Melbourne dated 1940 with a print of a Hudson bomber A-16-1 inside.